The advanced Biometric Digital Keypad Safe by Barska uses your unique fingerprint as a key, allowing you to safely store and access your valuables in seconds with the touch of a finger. 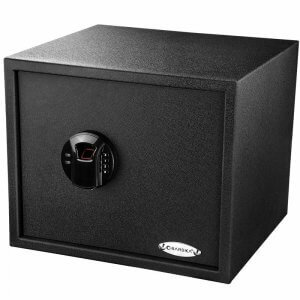 This eliminates the need to locate keys or remember a complex combination whenever you wish to access the safe. 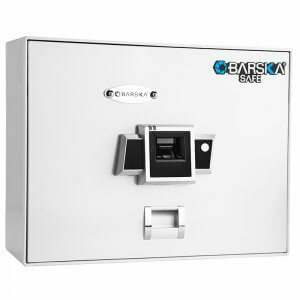 This Barska Safe can store up to 20 different fingerprints and 1 PIN code, with the advanced BioSecure Technology only recognizing the prints that have been programmed into the safe. 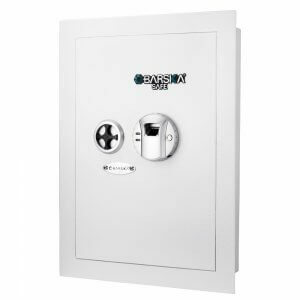 The Barska Biometric Safe is the perfect storage solution for small electronics, jewelry, medicine, and important documents. 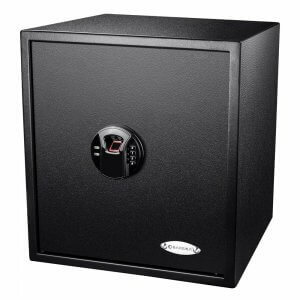 Answer: Yes, the safe can store up to 20 different users. 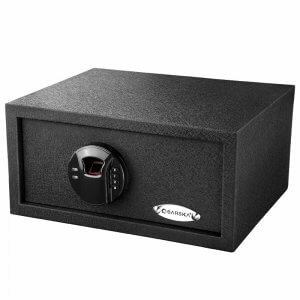 Answer: The safe can be opened with an included manual key that is inserted by removing a logo plat on the front door. 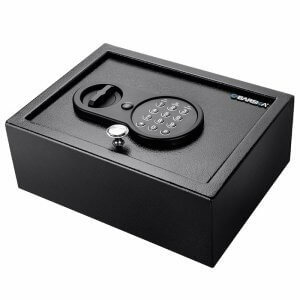 Keep your valuables secured and readily accessible with the 0.85 Cubic Foot Biometric Keypad Safe by Barska. 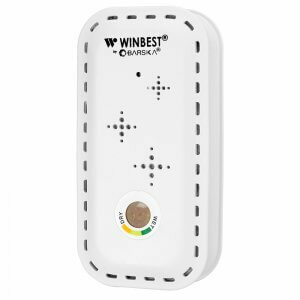 Biometric technology uses your unique fingerprint as the key, and eliminates the need to locate keys or remember complex combinations in order to access the safe. 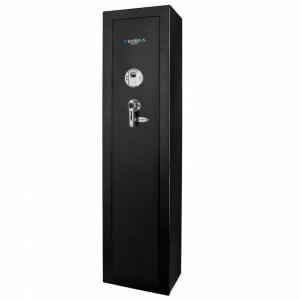 This advanced safe utilizes fingerprint recognition technology to accurately scan a presented fingerprint to determine if the user is authorized to access the safe. 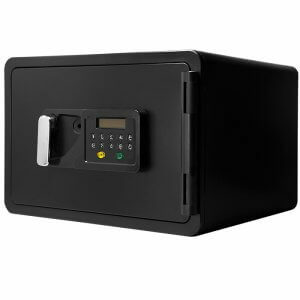 Once an individual places their fingerprint on the safe’s biometric module, the scanner quickly compares the scanned print to a database of preregistered fingerprints in order to authenticate the user. Unique features on the fingerprint are analyzed in a matter of seconds, and if an authorized match is found in the database, the safe will unlock. 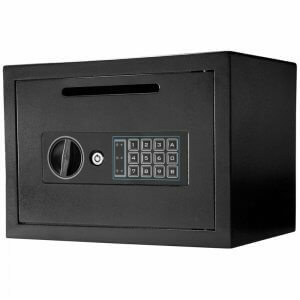 Barska’s Biometric Keypad Safe can store up to 20 individual fingerprints, allowing multiple users access to the safe. 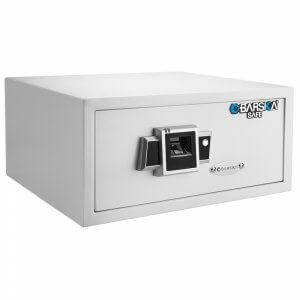 This Barska Biometric Keypad Safe can also store one PIN code into the database, allowing an alternative method of accessing the contents inside. The digital keypad illuminates at the touch of a finger, allowing the individual to accurately input the correct PIN code even in dark situations. Two traditional keys are also included with the 0.85 Cu. Ft. Biometric Keypad Safe as an alternative method of access.